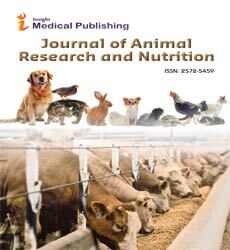 The effect of different supplementary diets containing humic substances and probiotics for common carp, based on growth rate, specific growth rate %, protein and fat content was investigated. Humic acid was mixed with different mineral elements and the gram-positive bacteria combined as probiotics supplementary diets. These supplements were added to the experimental basal diet (control) at a rate of 0.5%, 1% and 2%. Four groups of fingerling with an average mass of 0.5 g were fed on the experimental diets, three times per day for 11 weeks. 30 fish per tank were weighed randomly every week to measure their growth rate and at the end of the experiment, 5 fish from each treatment were weighed and their fat and protein content was analyzed individually. The results showed that 1% and 2% probiotics increased the growth rate while all treatments have less specific growth rate % than control. In relation to fat and protein contents, the results showed that fish fed with probiotics 1% had high fat and protein contents compared to other groups in general. All fish fed with different levels of supplemented diets showed a decrease in fat in compare with control group. However, protein contents in fish fed with HS 0.5% and probiotics 1% were significantly higher than control and other group of fish fed with different level of supplemented diets. These results suggest that humic acid substances cannot improve fish growth rate, but fat and protein contents could be changed slightly, while probiotic supplementary diets can improve growing rates, having a significant effect on protein content of fish meat.